With the recent purchase of Documentum by OpenText, many Documentum customers are concerned about what will happen to the products they have been using over the past decade. Customers should look at reducing their risk and reliance on EMC's products, prices and services that will soon be under the control of OpenText. One major way to reduce the risk associated with the OpenText purchase while improving the user experience, is to consider alternative interfaces to Documentum products. 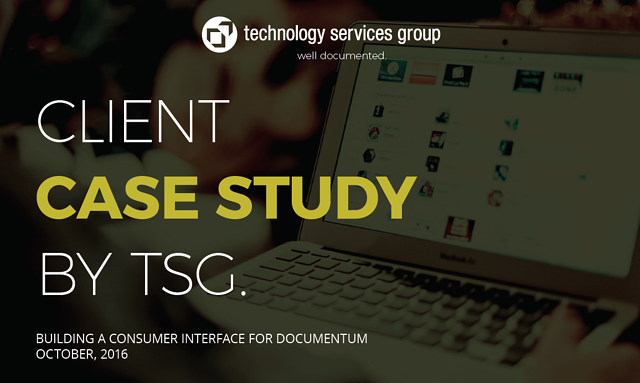 This case study details Technology Services Group’s over 11 years of experience building simplified ECM solutions for consumers of content typically stored in content management systems.